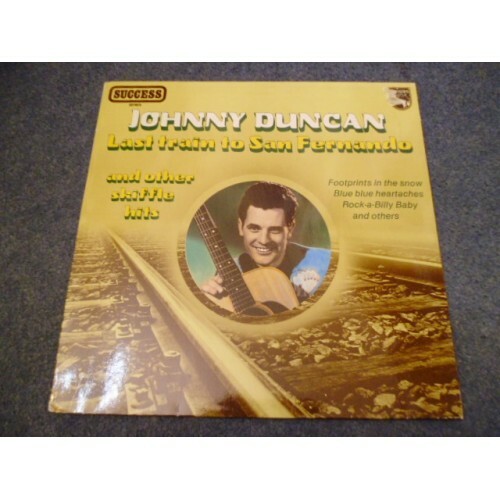 John Franklin "Johnny" Duncan (September 7, 1932 – July 15, 2000) was an American skiffle star. He was born in the Windrock coal-mining camp overlooking the town of Oliver Springs, Tennessee, and became a British skiffle star in 1957 with the hit record "Last Train to San Fernando", which reached number two in the UK Singles Chart. 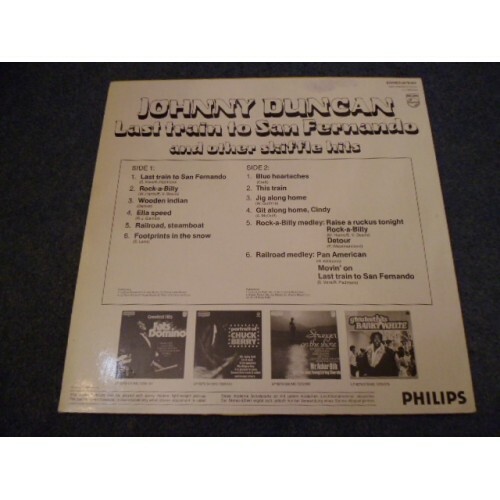 On a visit to London Duncan went to hear Chris Barber's Dixieland Band, which had turned Lonnie Donegan into a star with his international skiffle hit recording of "Rock Island Line". Barber signed Duncan to play with his band, where he stayed for a year. His first unsuccessful solo recording was a cover version of Hank Williams' "Kaw-Liga", but in 1957 his recording of a calypso called "Last Train To San Fernando" became the seventeenth most popular recording of that year in the UK, when among its rivals were Buddy Holly's "That'll Be The Day", "True Love" by Bing Crosby, and "Diana" by Paul Anka. The track was arranged by guitarist Denny Wright, who thought that San Fernando was in Texas and gave the piece a strong "country" feel. Duncan had two other entries in the UK Singles Chart in 1957, with "Blue, Blue Heartaches" and "Footprints in the Snow". Although Duncan continued to record for a period of time, the skiffle fad faded and so did his success. Following his divorce he emigrated to Australia, briefly returned to the United Kingdom, and then back to Australia where he married for a second time. On occasion he did perform in Australia, but he had basically left the music industry after his return to Australia. In 1999, while his health was fading, he did make new recordings in Australia just before he died there of cancer in 2000.